The T-Cross is likely to be revealed at the Paris Motor Show in October. 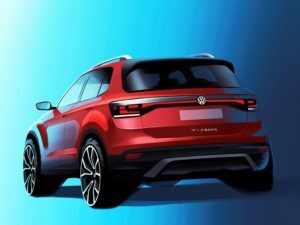 Slotting in under the T-Roc, which launched last year, the newcomer will share a platform and engines with the Seat Arona and the production version of the Skoda Vision X. All versions will be two-wheel drive, Volkswagen has confirmed. Its teaser image shows a similarly boxy, upright profile to the Seat, but the T-Cross will offer a sliding rear bench that the Arona doesn’t get, enabling drivers to offer more boot space or legroom as required. The name is taken from the 2016 concept car, while extra details shown in a promotional video hint that it has also retained the T-Cross Breeze’s front end design, with headlights that flow into a large grille. The T-Cross joins a segment which grew 17.5% during 2017, according to JATO Dynamics data, and that’s not counting full years of key models including the Seat Arona, C3 Aircross, Kia Stonic and Hyundai Kona. Expect further details closer to its public reveal, which is likely to take place at the Paris Motor Show in October. 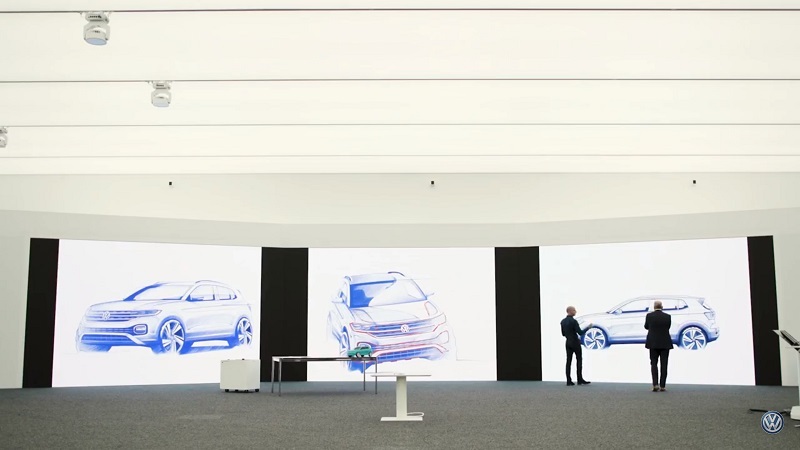 Volkswagen has hinted at other design cues in a brief promotional video.